RedWolf Airsoft is proud to be the authorized agent for Desantis, the prestigious combat and tactical equipemtn manufacturer that has supplied the law enforcement community for over 30 years. 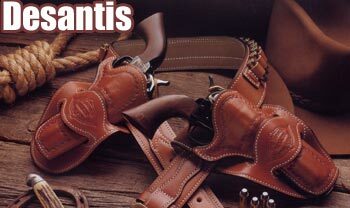 Desantis products have earned a world-wide reputation for dependability and style, and are the first choice for FBI, Secret Service, the US Marshal Service, and numerous departments and agencies across the globe. Desantis is so dedicated to excellence and customer service that they stand behind their products unconditionally on QUALITY, PERFORMANCE, and DEPENDABILTY.